Earlier this month, I bought vouchers for an IPL (Instense Pulse Light) Underarm Hair Removal treatment on Ensogo, one of the many group buying sites here in the Philippines. I almost instantly grabbed the deal as it entailed 80% off the original value. I hesitated because I didn't know anything about the procedure, particularly, if it is a repeating one. It was a good thing that I consulted the clinic hosting the treatment before buying. I was informed by the doctor-in-charge that I will be needing 6 sessions to maximize the results of the IPL underarm hair removal procedure. Each session will have a 3-week interval for better results. I am done with my second session. Please read my IPL Underarm Hair Removal - Part 1 article if you would like to know more about the treatment. 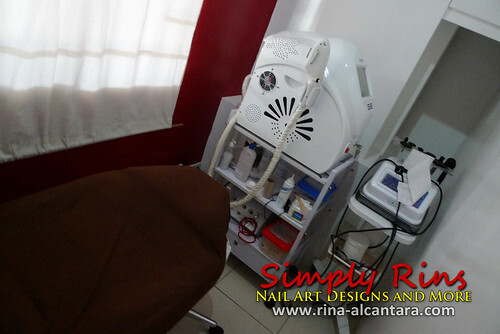 The post includes a comparison between a laser and IPL hair removal procedure. NO plucking/waxing/shaving at least a week before the actual procedure. Do NOT use any whitening product or undergo any whitening treatment at least 5 days to a week before the treatment. Do NOT use deodorant or anti-perspirant on the day of your IPL session. Visible bald areas on the 3rd week after my 1st IPL underarm hair removal treatment. Delayed hair growth after shaving. Stubbles were only visible on the 4th day. I can only imagine how much delay it would take if I waxed on the permitted day after the procedure. Hair is finer during regrowth. 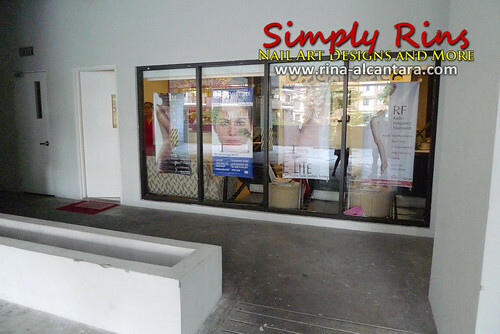 I get my IPL underarm hair removal treatments at S-Bar Spa and Skin Care Clinic is located at G/F Ivory Tower Rosewood Pointe Acacia Estate, Taguig City. For inquiries, please call at (02) 577-1973. So far, I am happy with the results. I have seen significant changes after my 2nd session. My next one would be on the 1st week of May. I will continue to post my experiences so make you subscribe and not miss any updates! Hi, theadventurousbitch! Yes, and thank you for referring to my post regarding my IPL hair removal experience. :) I'm done with my 6th session and I'll soon be posting my thoughts on the matter. But so far, I am truly satisfied. Thank Goodness I found your blog. I have been undergoing to an IPL session. I ask the dermatologist if is it ok to pluck my hair 2 days before the session, and she say "Ok lang yun ma'am" She even required me to shave my hair before pumunta sa clinic. My god! Kaya pala 5th session ko na wala parin changes sa hair ko. Sadness. Thank you for the info. It really helps. Hi :) can ipl also whiten underarm? The process is to eliminate underarm hairs. But, consequently, without hair follicles, it can lighten your underarm. is it ok to shave after ur IPL session? coz the clinic where i had my IPL told me i can't shave anymore. but what about the other hair growths when i need to wear sleeveless dress in between my procedures??? please enlighten me if u can. tnx. Based on my experience, I took my doctor's suggestion to avoid shaving and waxing in between sessions so that I can get maximum effectivity of the IPL procedure. She explained and I thought it was logical, that the treatment would be easier to do if there are visible hairs. It is hard to target follicles if you can't see growth. So I made the sacrifice of not wearing sleeveless shirts until the finish the treatment. It was worth it in my case. I had 6 sessions. If you really need to wear a sleeveless outfit, I think you just have to make sure that a week before your next procedure, you have visible hair growth. Best to ask your doctor about it. do you have to shave before you undergo an IPL session? During my first time, they shave it before they do the procedure, then the one who assist me told me that next time i should shave first the night before the IPL session.